WPI vs HWPI (Hydrolysed Whey Protein Isolate) - MrSupplement.com. Whey protein is produced from cow’s milk and represents the highest quality protein supplement. Its constituent amino acids; the building blocks of muscle tissue; make it a highly regarded supplement by bodybuilders. The higher its protein content, the lower the fat, lactose and cholesterol, which are generally minimal anyway. WPIs are rapidly digested, allowing for the fast uptake of amino acids. Whey protein can either be hydrolysed, where the protein chains have been broken into smaller segments called peptides, or non-hydrolysed. Both forms provide high quality protein. 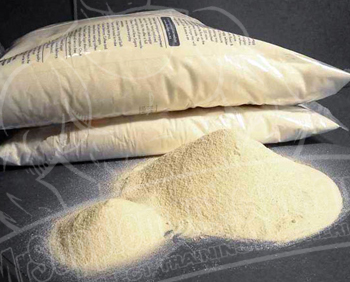 Whey protein isolate is a pure form of whey protein that has had almost all its lactose removed. This product may be useful for individuals who are lactose intolerant.2 During processing and purification virtually all fat, lactose and other impurities are removed to produce extremely pure and fast acting whey protein isolates. WPIs can be further enhanced using advanced processing technologies of ultrafiltration and controlled ion-exchange to separate out functional protein fractions. The resulting WPIs can then be fortified with specific protein elements or ‘fractions’ to boost their functional activity. WPI provides a fast and sustained source of peptide fractions to ensure maximum uptake at receptor sites of trained muscles. Whey protein isolate is made from milk during the cheese manufacturing process. It is then processed by microfiltration where it is filtered through special membranes under low temperature and pressure. Only soluble protein passes through the membrane, while fat and denatured proteins are withheld. It is then dried into powder form. This chemical-free process results in a WPI that contains all of the individual protein fractions of the whey protein matrix. Ion-exchange involves the use of hydrochloric acid and sodium hydroxide to separate proteins on an electrical charge basis. Chemicals used in this process mean that some amino acids and nutrients are lost. The WPIs resulting from this methodology contain lower levels of fat and lactose. A hydrolysate is a protein that has been broken down into its constituent amino acids. This type of protein can be more expensive, and some may have a bitter taste. As a result, a hydrolysed whey protein is more easily digested and presents less potential for allergic reactions than non-hydrolysed whey protein, because hydrolysis breaks down the protein chains down into smaller segments called peptides. The quality of protein, however, remains very high.3 Hydrolysed WPI (also known as HWPI) is produced by treating purified whey protein with enzymes that split peptide bonds off the whey protein structure. The process is carried out in a non-acidic environment, giving an extremely high quality hydrolysed protein, with a cleaner taste and optimum absorption. The resulting WPI contains highly bioactive peptide fractions that help stimulate anabolic activity and muscle recovery. The peptide fractions are absorbed faster and reach muscle cell sites quicker than free-form amino acids and all other protein sources including standard whey protein isolate. This is good news for trainers who want a fast acting protein for maximum muscle recovery and growth. Immediately after exercise your body will attempt to increase free glutamine levels in your blood to ensure nervous system and brain functions are not compromised. This is achieved by breaking down or catabolising protein from your skeletal muscle, particularly the muscle you have just trained. You can stop this breakdown by choosing a WPI with glutamine added. This will help your muscle to recover sooner, which ultimately leads to greater muscle gains. Hydrolysed WPI , non-hydrolysed ion-exchange whey protein and cross flow microfiltration whey protein all feature subtle differences in their amino acid profiles, fat content, lactose content, and ability to preserve glutamine.4 Depending on your taste, training aims and potential food tolerances, you can now find proteins that have been formulated with your needs in mind, without negative side effects that once existed. Ion-exchange proteins are derived from an older process, inferior to micro/ultrafiltration process. Ideally, and whilst it is generally more expensive, should you want a powder generally regarded as the best for pre or post-workout, the recommendation is to use a hydrolysed whey protein. Hydrolyzed whey protein like WPI also have a fantastic amino acid profile yet allow even faster nutrient uptake into freshly-trained muscle cells when it is needed most.